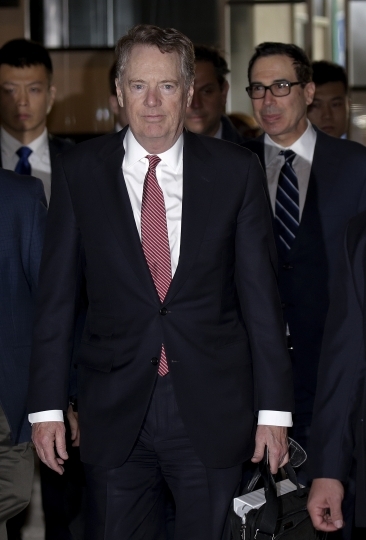 BEIJING — U.S. trade negotiators arrived in Beijing on Thursday to start a new round of talks aimed at ending a tariff war over China's technology ambitions as officials hint they might be making progress. The meetings are the latest in a rapid-fire series of exchanges seeking to end the conflict that is disrupting trade in goods from soybeans to medical equipment. The talks were to begin with a working dinner Thursday and last the entire day Friday, Chinese commerce ministry spokesman Gao Feng said during a regular briefing. "Both teams are currently sparing no effort" on the negotiations, Gao said. President Donald Trump expressed optimism last week, saying, "we're getting very close." 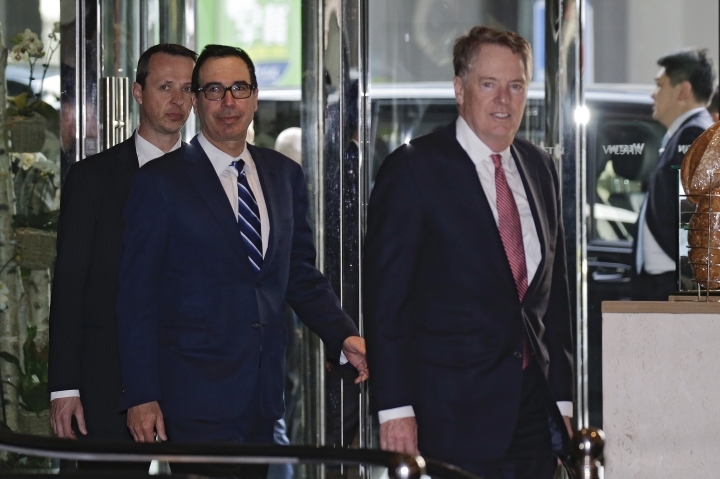 The chief American envoy, Trade Representative Robert Lighthizer, said this week that questions about details and enforcement remain to be answered. 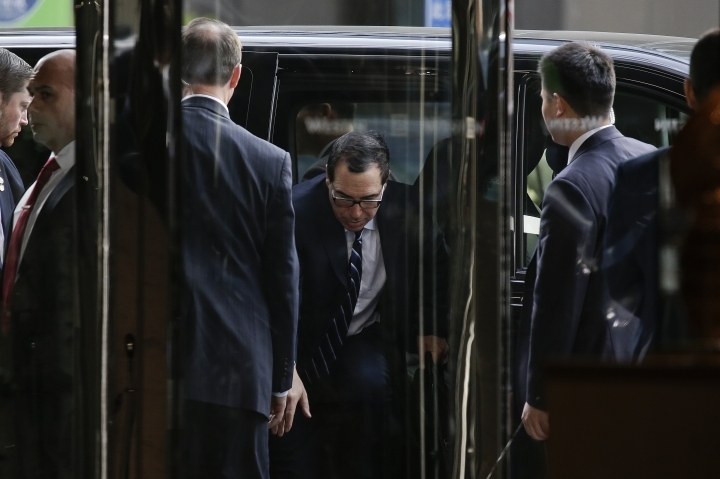 The U.S. delegation to the talks is led by Lighthizer and Treasury Secretary Steven Mnuchin, who arrived at a Beijing hotel on Thursday afternoon. 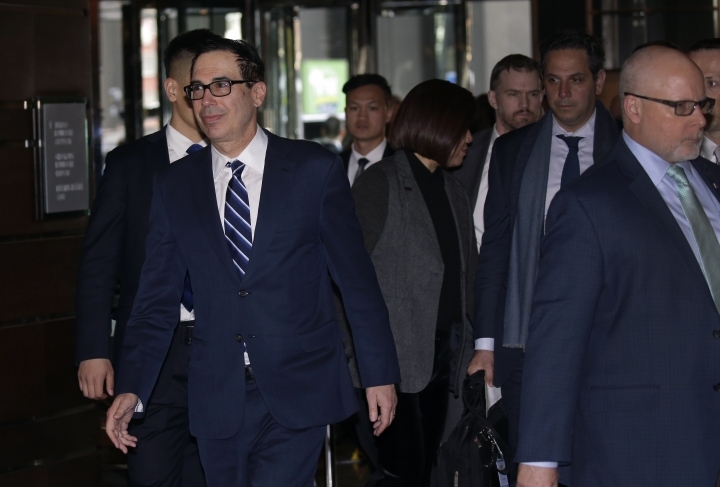 Speaking briefly to reporters, Mnuchin said he and Lighthizer were pleased to be back and looked forward to productive meetings. The chief Chinese envoy, Vice Premier Liu He, is due to visit Washington in early April for more talks. The two sides have not announced agreements yet but trade analysts expect at least a preliminary accord in coming weeks or months. Still, they say the negotiations are unlikely to resolve conflicts that have bedeviled U.S.-Chinese relations for two decades. 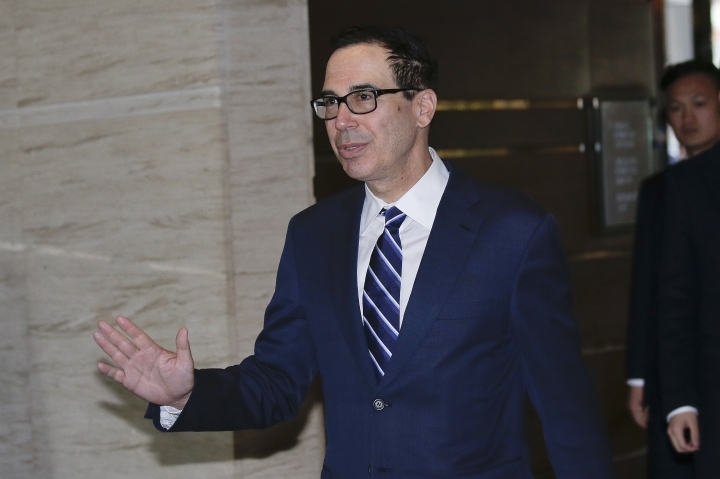 The latest dispute erupted after Trump raised duties last year on Chinese imports in response to complaints Beijing steals or pressures companies to hand over technology. It has disrupted trade in goods from soybeans to medical equipment. That is fueling fears the battle between the two biggest economies will chill global growth that already shows signs of slowing. Neither side has indicated they are making progress on the core of the dispute: U.S. pressure on Beijing to drop industrial strategies its trading partners say violate its market-opening obligations and might be based on stealing technology. That includes plans for government-led creation of Chinese global competitors in robotics and other technology. A stumbling block appears to be Washington's insistence on an enforcement mechanism with penalties if Beijing fails to follow through on commitments. Trump also raised another potential obstacle last week, saying he wants to keep in place 25 percent taxes on $50 billion of Chinese goods. The president said, "we need that." Beijing is not "in the biggest hurry" so long as Washington delays imposing additional tariffs, said Bryan Mercurio, a trade law specialist at the Chinese University of Hong Kong. 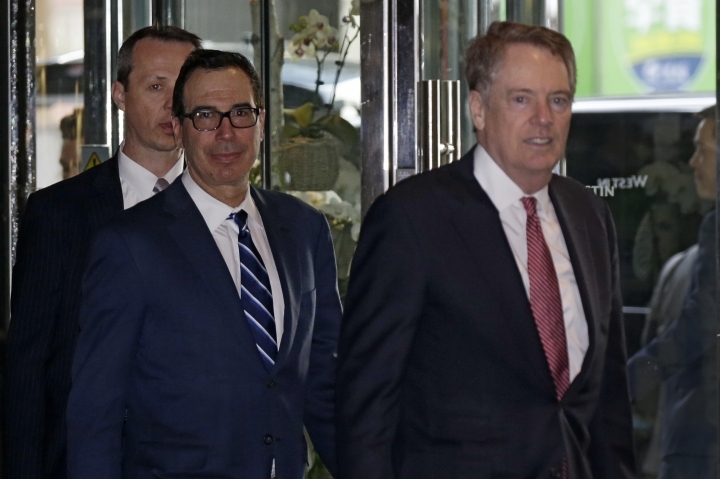 Chinese negotiators want to avoid giving too much before they figure out what Washington will settle for, said Mercurio, a former Canadian trade negotiator. "You never really know what the Trump administration wants," said Mercurio. Separately, Premier Li Keqiang, China's No. 2 leader and economic czar, told a conference in southern China that Beijing plans to open its financial sector further and beef up its rules on foreign companies' mergers and acquisitions within China. Li was speaking at the Boao Forum for Asia, an annual meeting in the coastal town of Boao. The official Xinhua News agency cited Li as promising to improve access to China's bond, banking, securities and insurance markets. AP producer Fu Ting and AP cameraman Wong Wai-bor contributed to this report. Copyright © 2015 - 2019 Lifestyle - Frontal Report. All Rights Reserved.